Welcome to the new world adventure of Super Mario. Play as Mario and make it to the end of the levels as there is many of them, jump on bad guys collect mushrooms to get bigger. S - To run / pick up carapace hold for high jump. Space bar - To pause/menu. 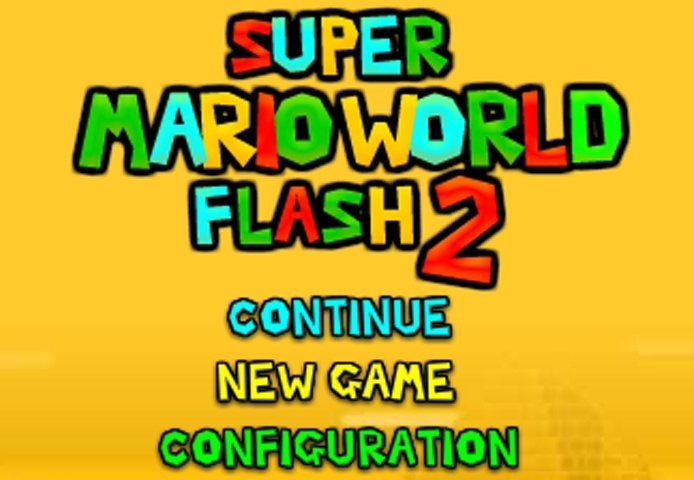 If you want to play Super Mario World Flash 2 games online you have come to the right place! GamesLoon adds new Super Mario World Flash 2 games every week. This is your game portal where you can find the biggest collection of free Super Mario World Flash 2 games online. Do not forget to rate our Super Mario World Flash 2 free online games while playing!